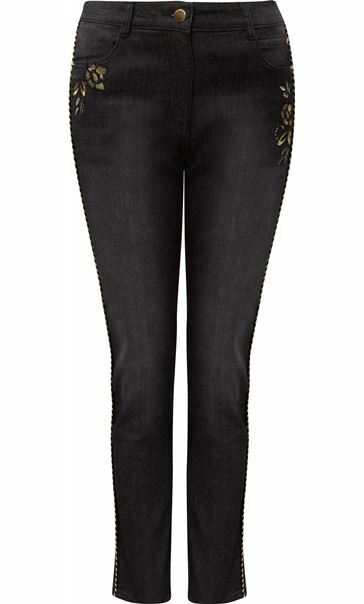 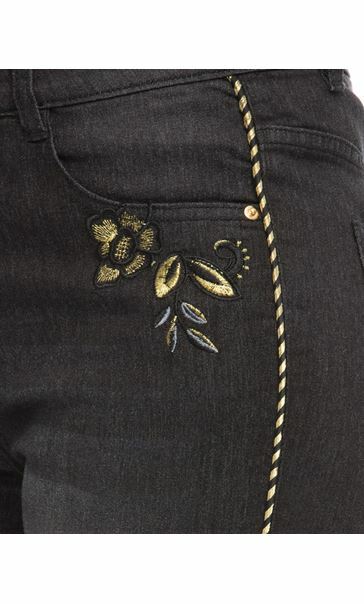 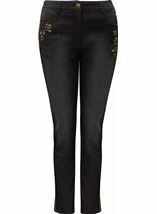 Update your jean collection with these relaxed skinny fit jeans in a faded black hue, featuring a gold sparkle stripe down the outside leg that adds a touch of glam to your casual looks with floral embroidery below the font pockets. 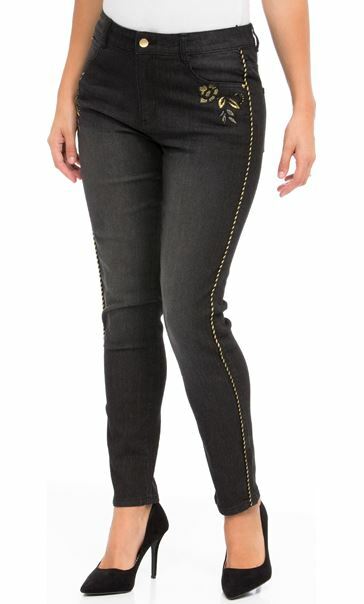 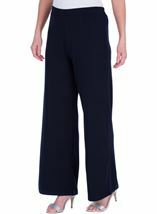 Complete with back pockets and zip and button fastening to the front. 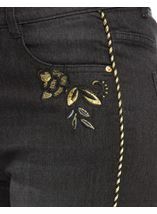 Inside leg 76cms.